Discover one vibrant university with three exciting campuses.Georgia Southern University is Georgia’s largest and most comprehensive center of higher education south of Atlanta. With over 140 degree programs at the bachelor’s, master’s, and doctoral levels, Georgia Southern has been designated a Carnegie Doctoral/Research university and serves nearly 26,500 students from all 50 states; Washington, DC; and Puerto Rico, as well as 102 nations. Students are proud to support the Eagle Nation by cheering on our NCAA Sunbelt Conference sport teams: men’s baseball, basketball, football, golf, soccer, and tennis as well as women’s basketball, cross-country, golf, rifle, soccer, softball, swimming & diving, tennis, track & field, and volleyball. The Eagle Football team won its first bowl game in school history in the first year it was eligible to go to the postseason. The Allen E. Paulson College of Engineering and Computing offers undergraduate programs for students who want to become innovators, focusing on real-world application and hands-on learning. With our degrees, instructed by industry leaders, you will build the foundational framework for engineering. Access world-class learning and opportunities with a rigorous mix of lectures, labs, and team projects. Choose Georgia Southern and discover your potential in engineering. Majors include Civil, Computer, Construction, Electrical, Manufacturing, and Mechanical Engineering; Construction (Management); Computer Science; and Information Technology. Learn more at georgiasouthern.edu/engineering. The Waters College of Health Professions offers 11 undergraduate programs ranging from Nursing and Radiologic Sciences to Athletic Training and Sport Management. The College employs innovative teaching strategies to prepare competent, caring, adaptable health care practitioners. A new 63,000-sq. ft. building is expected to welcome students in spring 2019 on the Armstrong Campus. This vibrant complex will feature a state-of-the-art Simulation Suite as well as hands-on, team-oriented learning opportunities. Achieve educational and practical excellence at Georgia Southern through creative use of traditional and innovative instructional techniques and technology, and cultivate professional relationships through interactions among faculty, students, and the community. Learn more at georgiasouthern.edu/chp. Since its founding in 1906, the University’s hallmark has been a culture of engagement that bridges theory with practice, extends the learningenvironment beyond the classroom,and promotes student growth and life success. Faculty, staff, and students embrace core values expressed through integrity, civility, kindness, collaboration, and a commitment to lifelong learning, wellness, and social responsibility. A unit of the University System of Georgia, the University boasts 300+ student organizations, outstanding Division I athletics, and state-of-the-art residence halls and campus facilities. 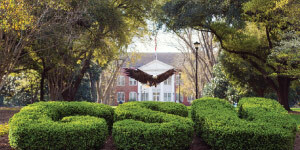 With the Statesboro Campus, the Armstrong Campus in Savannah, and the Liberty Campus in Hinesville, Georgia Southern offers an attractive campus environment that encourageslearning, discovery, and personal growth. Georgia Southern’s largest campus, home to nearly 18,500 students, is located in historic Statesboro, a growing college town built around a shop-lined Main Street. Situated on the Atlantic coast in beautiful Savannah, the Armstrong Campusof Georgia Southern University is located just minutes away from the National Historic Landmark District downtown and a short drive fromthe sunny beaches of Tybee Island.The 268-acre arboretum campus ishome to more than 5,500 students. Located in Hinesville, the Liberty Campus houses a new state-of-the-artfacility offering a variety of opportunities for local students, especially those affiliated with the military, to take advantage of a nationally recognized university in their own backyard. This campus, home to over 500 students, serves all undergraduate student types, including DualEnrollment, new freshmen, transfers, and adult learners. Learn more about the campuses to find your fit at georgiasouthern.edu/campuses. With 141 degree programs, GeorgiaSouthern gives you the opportunity to shape your academic experienceaccording to your own interests and aspirations. However, university life should do more than offer degree choices—it should engage the imagination and encourage intellectual curiosity. Georgia Southernis a place where you examine ideas and discover new ways of thinkingthrough hands-on experience. Try directing a theater production orbecoming a peer health educator to promote wellness issues on campus. Or you can design, manufacture, and race a car with Eagle Motorsports. At Georgia Southern, your options for learning through doingare unlimited. 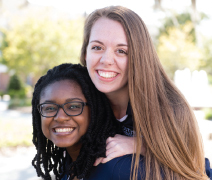 At Georgia Southern, each campus fosters a close community. Starting from day one, you’ll build lasting friendships that will carry you through graduation and beyond. You may be hours away from home, but here you’re still part of a family. With a diverse community comprised of almost 26,500 studentsrepresenting 50 states and over 100 nations, Georgia Southern offers a thriving mix of ethnicities, cultures, and age groups, all sharing their unique perspectives on life. Our students wouldn’t trade that diverse blend for anything. Become part of an inclusive learning environment that graduates students prepared for a diverse global society. Our students enjoy a student-faculty ratio of 21:1, which means you’ll get to know your professors and they’ll know you too. They’ll notice your strengths and understand your challenges, and they’ll look forward to one-on-one conversations and feedback outside of class. Back at the residence hall, start packing for an Alternative Spring Breaktrip to the Bahamas or Central America, where you’ll get to explore a new culture and broaden your horizons through servant leadership. Or warmup for showtime with one of the University’s many performing groups,from inspirational singing to show choir to hip-hop dance. Every studenthas leadership potential—the ability to harness his or her unique abilities in order to change the world for the better. The Office of Leadership and Community Engagement’s diverse programs can help you learn to lead through service to others—a powerful benefit. When you make the transition fromthe University to a career or postgraduate studies, you won’t have to get reacquainted with “real life.” Because you’re a Georgia Southern alumnus, you earned a real-world education. You immersed yourself not just in theory but in hands-on practice. You participated in a study abroad program your very first year. 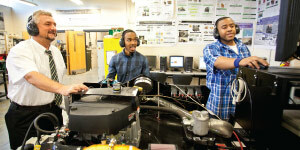 You took part in undergraduate research that helps educate the next generation of students. You may have only spent four years with Georgia Southern, but the connections you made and the growth you achieved stay with you for a lifetime.